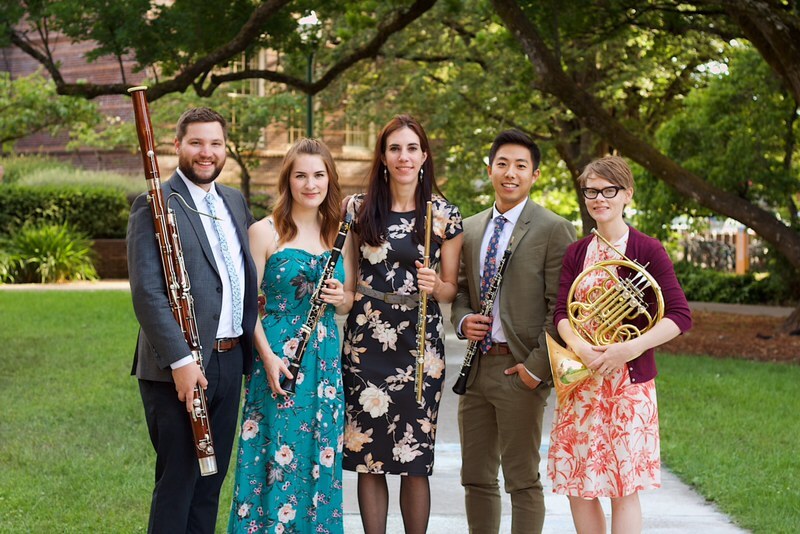 EMBLEMS is a wind quintet and collective who values individuality, storytelling, and collaboration. Together, we support the work of each other and of our respective communities in order to advance our mission in the classical music community: to advance performance of and research into composers and their work that have been overlooked and brushed aside in an effort to present the diverse music of our time. We are a small group of individuals with diverse backgrounds, each an “emblem” in our own right, who unite to create something beautiful and meaningful together. Caroline is a Michigan native who is teaching in Texas, Brandon and Clarissa are from the west coast of the United States, Merryl is South African and Canadian, and Alex has roots in Hawaii and Japan and now teaches in Las Vegas. Technology allows us to work closely to build in-person concerts, online resources, and regional collaborations. » April 2016: First performance as Emblems at the Threads All Arts Festival. » May 2016: Launched international call for scores, which yielded over 150 works. » March 2017: Emblems received a grant from the EXCEL program at the University of Michigan to fund a short tour of Eastern Michigan, giving concerts in Ypsilanti, Adrian, and Ann Arbor. » August 2017: Online publication of Wind Quintet Music by Women/Non-binary Composers and/or Composers of Color is live. » June 2018: Emblems gives the world premiere of Terms of Venery by Nathan Thatcher at the University of Oregon.